It is time for women to lead like women. And for both men and women to encourage and appreciate it. Women represent more than half of the world population, more than half of College graduates….and less than half drop-outs. We need men and women to feel comfortable with their own preferred style . Whether that is considered male-or-female one. Yet, too many indications that this is not the case. Yet. Among the nominees for best director in the Oscars: No women. No person of color. Like always. Once more most of the nominees for Oscars are men, white, and over 65. Among those in leading roles in Silicon Valley: very few women. Most are white men. Again. Among the best 10 CEO’s for small and medium enterprises in 2015– according to Glassdoor ratings-: no women. No person of color. Among the best 10 CEO’s for big enterprises in 2015– according to Glassdoor ratings-: no women. No person of color. This translates, for instance, in quotas. So, companies seek to incorporate women – and minorities – without changing processes, policies or the culture. And all that deters them from arriving to Executive Positions. Thus, the few women that happened to make it to higher rank positions are in demand for boards, and executive positions. But, it is not sustainable. As much as policies such as quotas might help a little, they also put focus on the wrong end . Quotas foster that companies appoint women to board positions, yet they do not necessarily demand changing processes. Thus, it ends up masquerading the real problem. As a result, the scarce results of a big effort generates frustration and the wrong conclusion that there is no solution. For instance: CEOs commit to parity. Sound good – right? Yet: do they also commit to changing the culture of the company, so that it welcomes men and women’s contributions? If so: do they commit resources to do it? Are they willing to challenge ingrained beliefs, assumptions, and the policies and practices associated? 2. In most societies, people still think that you can do things “like a girl”…or do them right. Most people perceive those two ends as opposite, with no overlapping in between. If you run, walk, talk, and drive like a girl: you do it wrong. If you lead like a girl: you do it wrong . Thus: no room for recognition, progression and praise. So, what does leading like a girl entail? Recognizing others for their contributions. People might (erroneously) confuse those behaviors with indications of weakness. Thus, they might conclude a person displaying these traits is not willing to be promoted. Or even worse: does not deserve to be promoted. “If you do not take the credit for success, this might mean that you actually did nothing to achieve it”. In any case, no room for progression. That is, while maternity for women is preferable before 30, generally between 30 and 40, and sometimes between 40 and 45, for men it’s different. It might come at any of those stages, but it can also come long after that. Also: while women are pregnant and deliver babies, men are committed and an essential part of it. But their becoming a father does not entail being pregnant and experiencing physical, physiological (and endocrine) changes that becoming a mother does. Thus, it is not a matter of applying policies and practices that allow for flexibility. It is rather developing an understanding for the substantial change that maternity encompasses . The child has a physical dependence on the mother. Reciprocally some mothers do temporarily develop a dependence on their children. This requires understanding that there is a time that might not be the best to put the highest pressure on career and promotion. Companies would plan how to keep up-to-date men and women in extended leaves of absence. With programs that would facilitate them to keep up-dated in new developments and markets trends, for instance. Companies would welcome older women into promotion tracks. Managers would hinder any practice that leads to extended face-time in the organization such as evening meetings, all-nighters, weekend travelling. Let us join in an effort to transform the workplace, societies and families so that these are inclusive. And help men and women to achieve their full potential – which entails not only contributing at work and in society – but also becoming the best version of themselves! 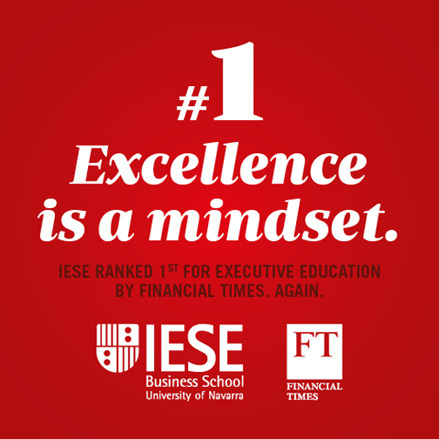 Mireia is an Assistant Professor at IESE Business School where she serves as the Research Director of the International Center for Work and Family. She got her degree on Industrial Engineering at the Polytechnic School of Catalonia, specializing on Industrial Organization, in Barcelona-Spain, and holds an MBA from IESE Business School, and a Doctorate in Business Administration from Boston University. I think this gender problem will end up finishing and not being a deal at all. Right now in the world there are lots of women more prepared than men. Women are always more than men in all manners. I am Proud to be a woman and this article is really nice for girls like us ! Thank you again ! Proud of you !